This post is sponsored by KOZYSHACK, SO IF YOU WOULD LIKE TO HELP SUPPORT ME, PLEASE CLICK THROUGH THE LINK HERE TO GET TO THE KOZYSHACK WEBSITE! Being a Mom to two teenagers ( in case you haven’t heard…. they can EAT!!!) who have very busy schedules and always on the go and love their snacks. I try to have lot’s of healthy snacks available for them so that they choose healthy snacks over junk food. That’s why I’m loving what’s inside Kozyshack pudding! I have taught my kids from the time that they could read, to read the ingredients on the back of what they are eating, before they eat it. If you can’t pronounce it…don’t eat it! Or as Kozyshack would say, ” If you can’t read it, don’t eat it!” These are words of wisdom! 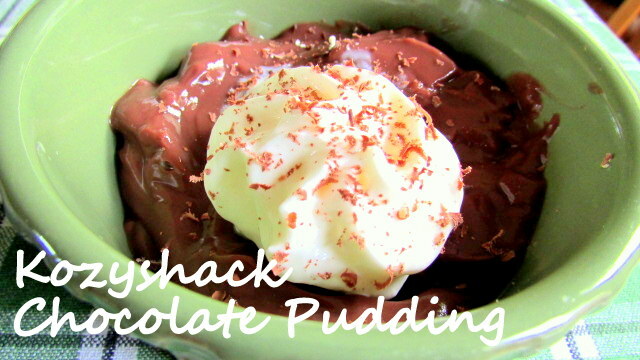 We have been a big fan of Kozyshack Puddings for years. I enjoy Tapioca the most. My kids grab their chocolate pudding first and hubby loves their Rice Pudding. All three puddings are made with wholesome ingredients, including real milk and no artificial preservatives or hydrogenated oils. All three are also a good source of calcium. Kozy Shack® Puddings are gluten free too! What are your go-to ideas for healthy snacks? Is pudding on that list? It should be! Here are some of the ways we like to eat Kozyshack puddings! My kids love Chocolate Pudding. They will grab one as a quick snack or dessert, usually eating it straight out of the cup or if I make it a bit fancy for them with whipped cream and a bit of chocolate sprinkled on top. I have been eating Tapioca Pudding since I was pregnant with my children. Full of healthy ingredients is a plus for me! 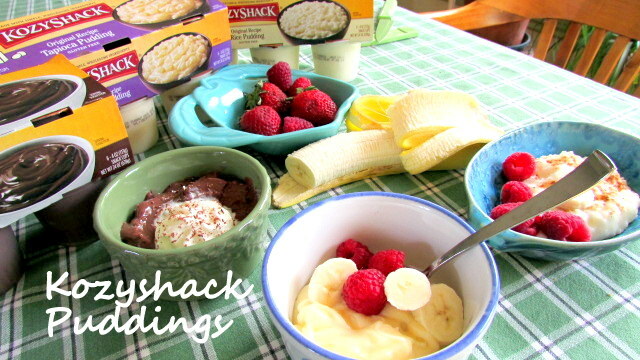 I like to eat Kozyshack Tapioca Pudding with sliced bananas and raspberries. It fills me up so that I’m not hungry until supper time. Kozy Shack Rice Pudding is hubby’s favorite. He says it reminds him of how his Grandma used to make for him when he was a little boy. He likes to eat the Kozy Shack Rice Pudding with a little cinnamon sprinkled on top and a couple raspberries for a healthy snack or dessert. 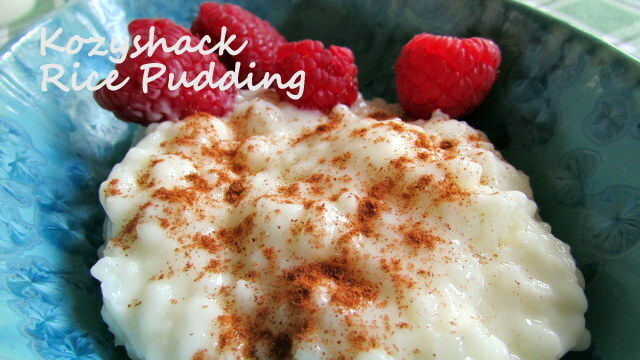 • Bananas & Cinnamon Rice Pudding Spoon Kozy Shack® Rice Pudding into a small dish. Top with sliced bananas and a sprinkle of ground cinnamon. • Peaches & Blueberries Rice Pudding Layer diced fresh peaches, Kozy Shack® Rice Pudding, and blueberries in a small dish. Top with any remaining fruit. • Chocolate Drizzled Strawberries and Tapioca Pudding Drizzle strawberries with melted dark chocolate and allow to set. Layer chopped strawberries and Kozy Shack® Tapioca Pudding in a small dish. Top with a chocolate-drizzled strawberry. 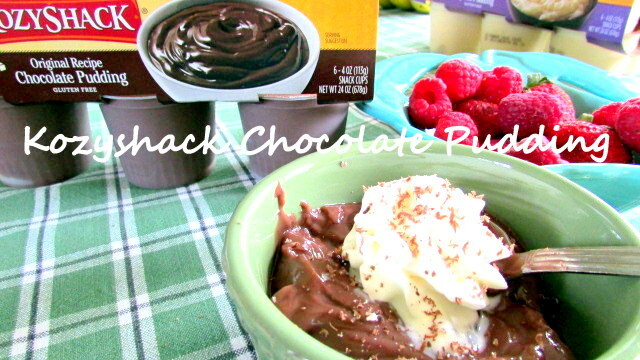 • Banana Split Chocolate Pudding Spoon Kozy Shack® Chocolate Pudding into a small dish. Top with a dollop of fresh whipped cream, a banana spear and a maraschino cherry. 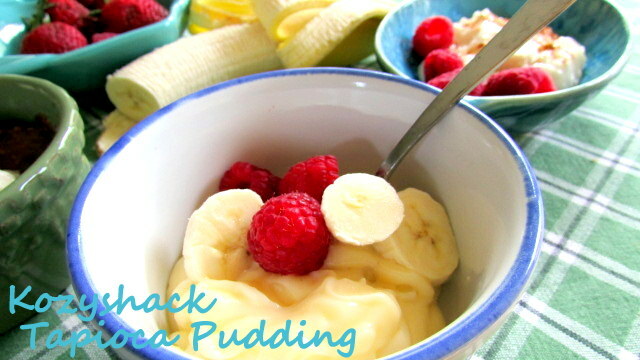 I HOPE YOU TRY THESE DELICIOUS PUDDING FLAVORS FROM KOZYSHACK! HERE IS YOUR CHANCE TO! 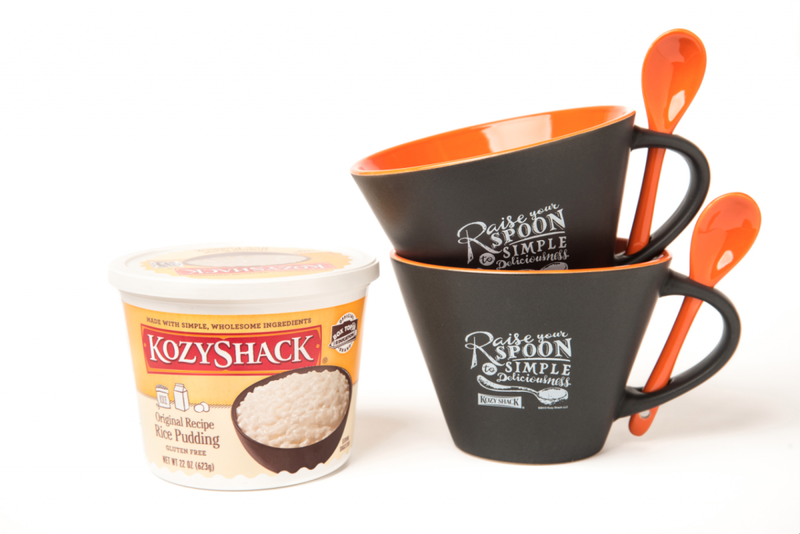 One lucky reader will win 2 premium, ceramic Kozyshack Pudding mugs with spoons. 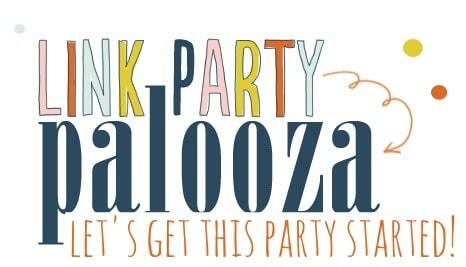 The winner will also receive a product coupon good for one (1) free package of any KOZYSHACK product, up to $4.99 value. To enter: Visit Kozyshack’s website and share a pudding quote to one of your social media channels (of your choice, Facebook, Twitter, Pinterest or Google+) and then leave a comment on this blog post telling me which one you shared. If you don’t have a social media channel, leave a comment here on how you like to eat your pudding. Join the conversation on the Kozyshack Facebook Page or connect on Twitter with @kozyshack. Tag #puddinglove on your tweets and Instagram photos. Many thanks to Kozy Shack for sponsoring today’s discussion and introducing their delicious pudding into our afternoon snack routine! Have been eating these puddings for ages – it’s like homemade without the work. I shared “Rice, Rice, Baby”. I love my Kozy Shack rice pudding right out of the container, sometimes with a sprinkle of slivered almonds. http://www.pinterest.com/pin/225813368790722741/ – It’s Simple. It’s delicious. It’s simplicious. I shared on FB: I top my pudding with more pudding. I grew up eating my pudding and still love it at my age. Home is where the pudding is. https://twitter.com/candykratzer/status/473671774815522816…..twitter, Pudding is made to be shared. Kozy Shack rice pudding with a sprinkling of cinnamon is amazing!! By far my favorite snack! I love tapioca pudding with whip cream and a cherry. I love rice pudding with cinnamon! My hubby loves pudding I make a lot of cook jello kind but to my surprise I bought your Tapioca he loves it and because he doesn’t like change when I bought your rice pudding, he came home from work and said something must wrong my pudding tasted different ” not bad just Different” when I told him I bought rice he said but I like Tapioca, lol .did I say that he is a 62 yr old spoiled hubby Tapioca it is! Yea, but we love anyway the pineapple bunt was great! I like chocolate pudding with whipped cream on top. Yum! My favorite is the rice pudding!! The chocolate looks good! Great pairings! I shared as @arress83 via twitter this quote: Simple, wholesome @KozyShack pudding is made to be shared. Unless there’s only a little left. I like to eat my pudding with nutmeg and cinnamon sprinkled on top. This works for basically any flavor of pudding, but I like it best on rice pudding. I am so excited! Thank you so much.